SoundRoots World Music & Global Culture: SoundRoots Needs You: Podcast Alert! SoundRoots Needs You: Podcast Alert! Friends, readers, music lovers: If you enjoy the weekly Spin The Globe podcast that brings you new global sounds and information, please consider making a donation via Paypal -- our Podomatic account (at http://soundroots.podomatic.com) comes due in early July, and it costs US$99.90 each year to keep this available to you. SoundRoots does not have other financial support, apart from a paltry trickle of ad/affiliate income. And I'm not looking to fill the site up with ads. I'd rather concentrate on the content. 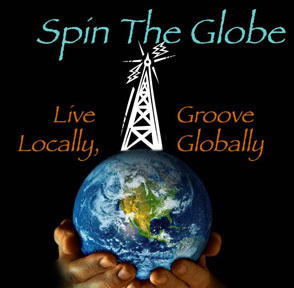 Just as I'd like to continue providing the Spin The Globe archive/podcast to you. To keep the current level of Podomatic podcasts going, you need to step up now. Please click on the above button and make a contribution, whether it's $1 or $100. Last year several readers stepped up and made a Pro Podomatic account possible. This year, your support is needed to keep this up and running. If you've listened, or shared Spin The Globe with others, or learned something from listening, please help. Your donation is not just a show of support, it's a vote for global music that isn't written about in mainstream media, it helps artists get more recognition, and it helps me focus on writing instead of seeking another (cheaper) alternative for providing the program archives. And remember, whether you can donate or not, I'm always interested in your feedback, recommendations, or even guest blog submissions.